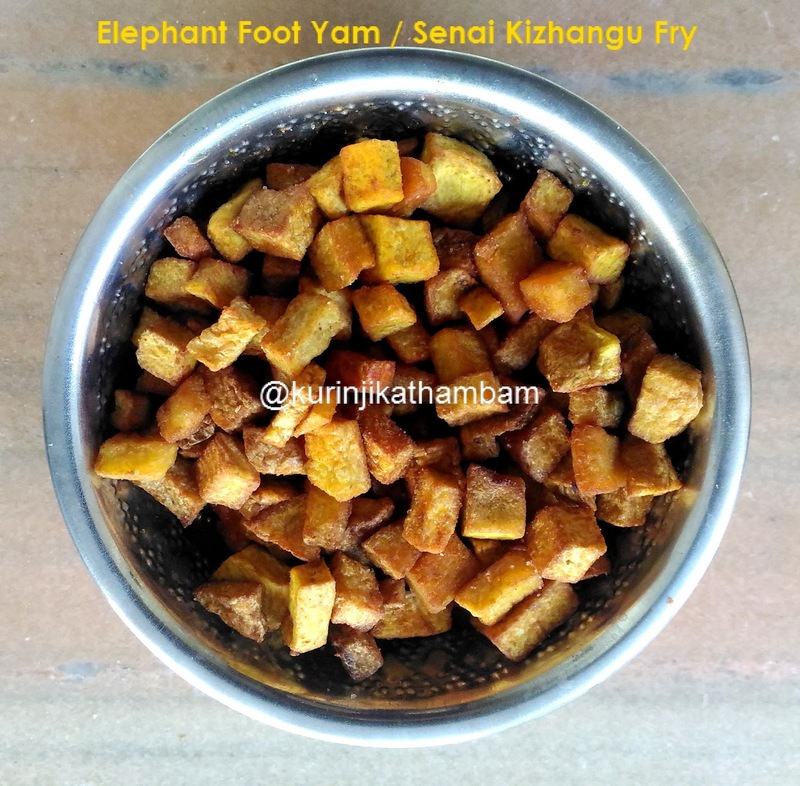 We can make lot of dishes like fry, curry etc., This yam fry is tasty and very spicy. It goes well with dal, rasam and curd rice. Kids will eat separately also. 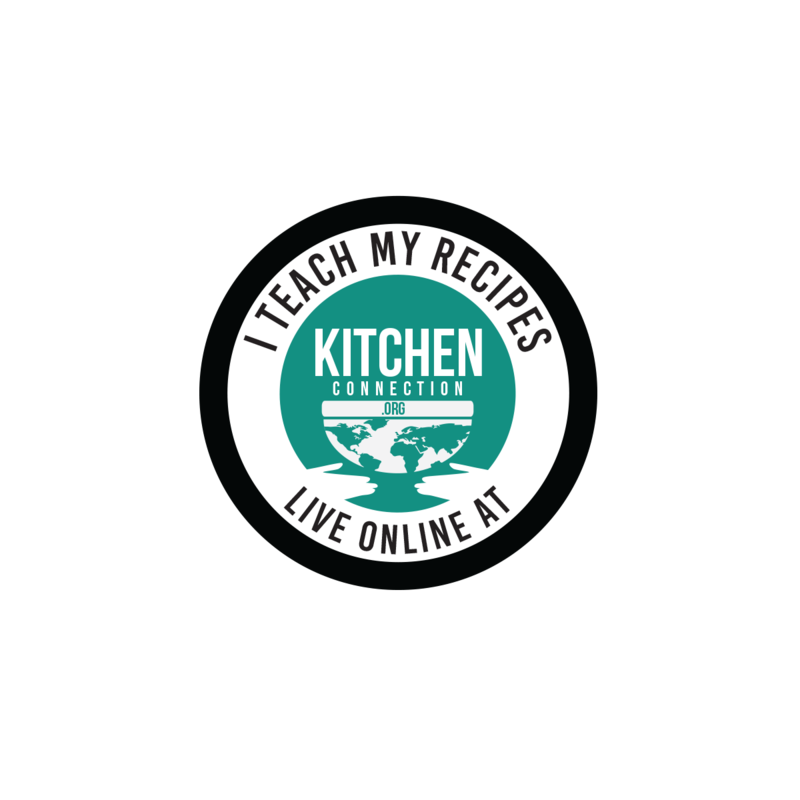 Click HERE to view 30+ Poriyal Recipes. 1. Remove the black skin of the yam carefully. 2. 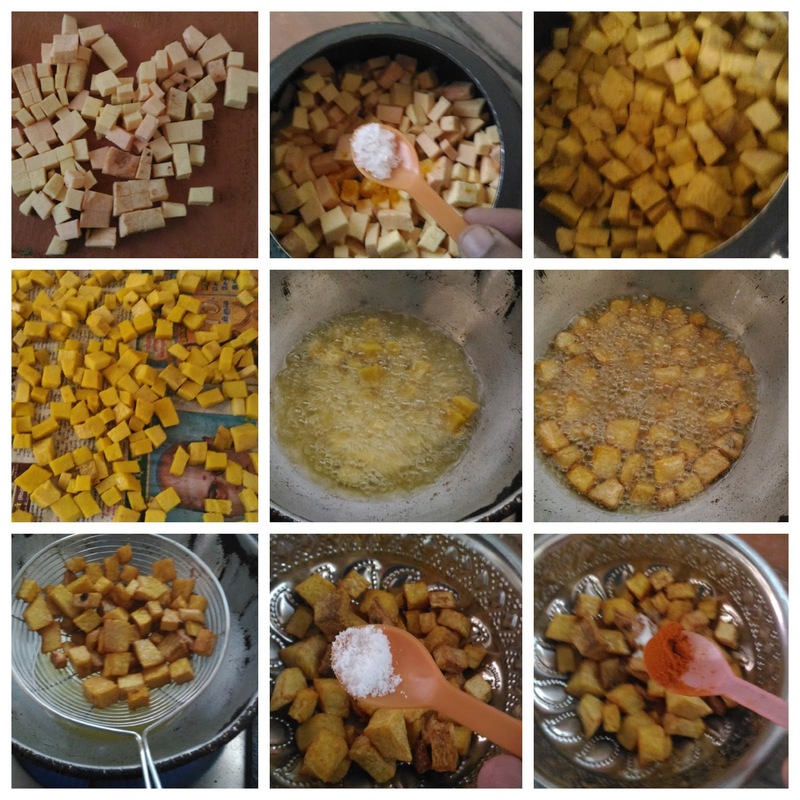 Then cut the yam into 1 inch cubes. 3. Pressure cook them with ¼ cup of water, turmeric powder and ¼ tsp of salt for 1 whistle in a high flame. 4. After the pressure has gone, strain the water from the cooked yam using the juice strainer. 5. Now spread the cooked yam over the news paper for 15 mins to dry. 6. Then heat enough oil in a pan and when oil is hot, put some of the cooked yams. Don’t over load the pan. 7. Fry till the sizzle sounds stops completely. Then remove the fried yams from the oil and spread them over the tissue paper to absorb the excess oil. 8. Now add the red chilli powder and salt. Mix them well or toss them carefully. Crispy and yummy yam fry is ready to serve. 1. Apply oil on your hand to avoid itching while cutting the yam. 2. Adjust the salt and spice level according to your taste. 3. After frying all the yam, put salt and chilli powder immediately and toss it. If the yam gets losses heat, the powders will not stick the yam.